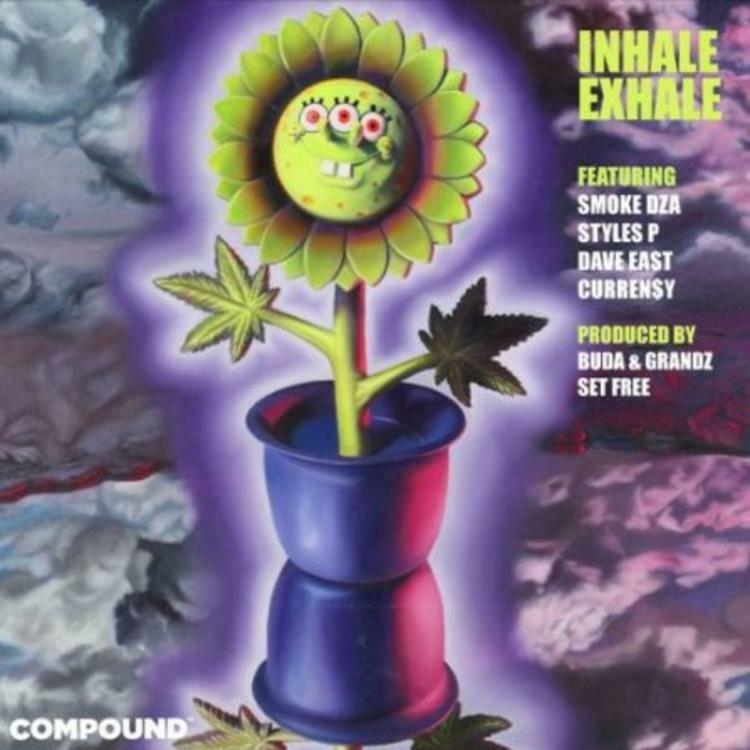 Home>New Songs>Curren$y Songs> Curren$y, Dave East, Styles P and Smoke DZA Link Up On "Inhale Exhale"
With April 20th only hours away, it's only right that everyone starts compiling their playlist for the International Day of getting shaded. The music that runs while you roll up is just as important as any other aspect of the day, it sets the vibe and the atmosphere where you plan on smoking. Of course, we expect some of our favorite weed rappers to drop something. Today, four notable stoners have hopped on the same track and delivered an anthem that's suitable for the holiday. Dave East, Curren$y, Smoke DZA and Styles P link up on their new collaboration, "Inhale Exhale." The song was presented for The Compound's new three song EP which accompanies their new line of weed toys in collaboration with pop artist, Ron English. The Compound's curator, Set Free explained the the relation betweent he toy and the EP to the Fader. "There has never been a toy created to celebrate the relationship between hip hop and weed so it was only right that I make a record to go with the product!" He said. The song was produced by Set Free alongside Buda & Grandz. Khalid Taps Ty Dolla $ign & 6LACK For Virtuoso Performances On "OTW"
SONGS Curren$y, Dave East, Styles P and Smoke DZA Link Up On "Inhale Exhale"